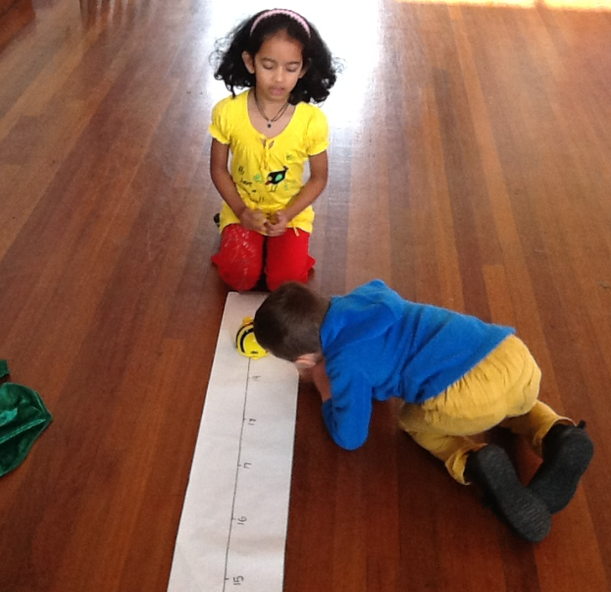 At the end of a very happy school year, it is time to look forwards to Year 2. The children bounced back from their transition morning filled with excitement at the new challenges and classroom awaiting them in September, not to mention Mrs Diaper and Mrs Diaper! We were very lucky to be able to spend some time in the last few weeks with our chickens. The children were thinking about how we had watched the eggs wobbling and beginning to chip away to reveal the tiny soggy piles that in just a few months had become these big silky chickens. Some of the children even got to hold the first eggs that these chickens had laid! It was a very special way to experience part of their life cycle, and nice to think that the chickens were ready to move into school at the same time as our class were ready to move onto Year 2. 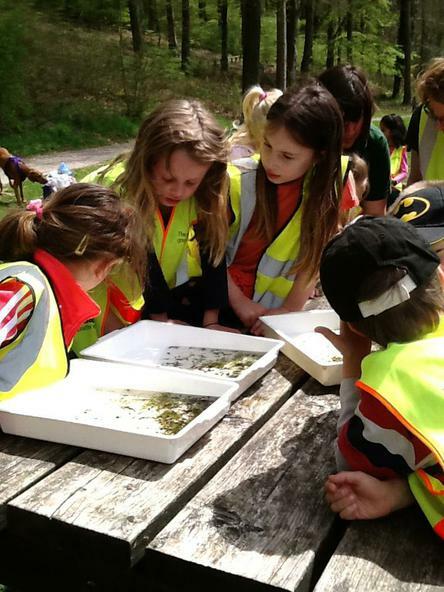 We used the lovely weather and the blooming school grounds to explore nature and used what we found to write poems. This was a chance to use scientific language about parts of plants and names of plants and animals and the children had some gorgeous ideas. And while they are green just now they are growing. See our homework page to see some fantastic woodland inspired homework! 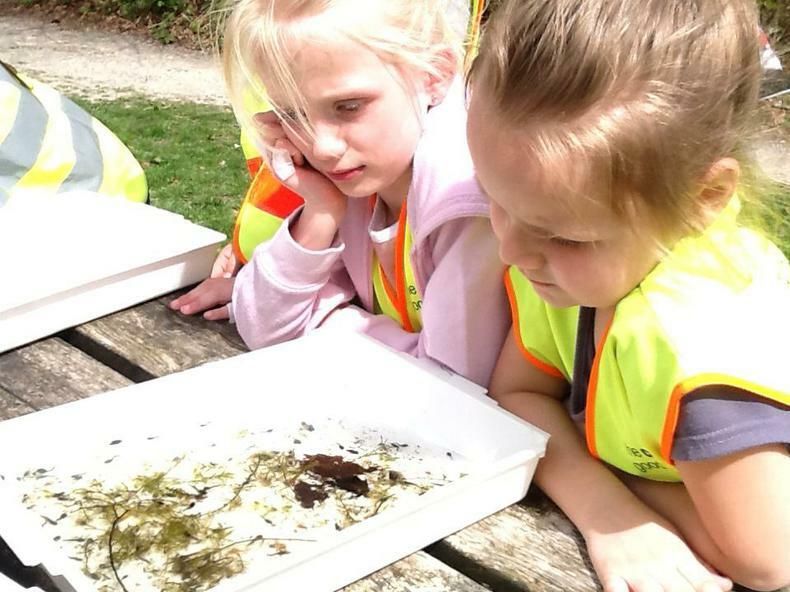 Year 1 made the most of the early May sunshine when visiting the Queen Elizabeth Country Park to celebrate our Into the Woods topic. We had a fantastic chance to think about animal and seed survival by playing games like 'Squirrel's Nuts' where we hid our nuts before lunch and then tried to find them at the end of the morning (most of us could not remember where we had hidden them and so would probably be very hungry through a long Winter!) The Germination Game and Nature's Bingo were a very fun way to use our scientific vocabulary while looking carefully at the natural world. 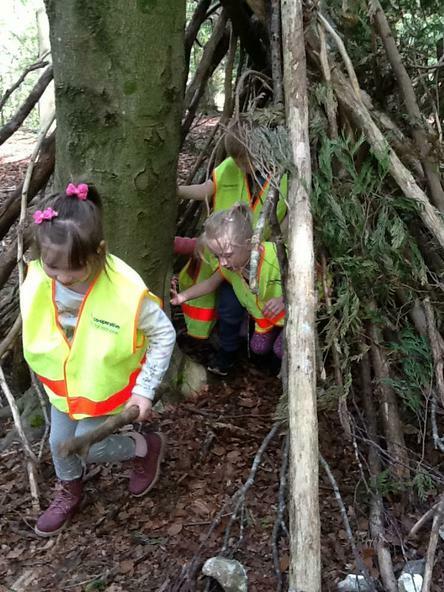 When we got up into the woods the children discovered the den building site and were very enthusiastic to get started. We talked through our instructions and how the safest way to carry the sticks would be to drag them, caveman-like, behind us. Loud caveman noises were highly encouraged! 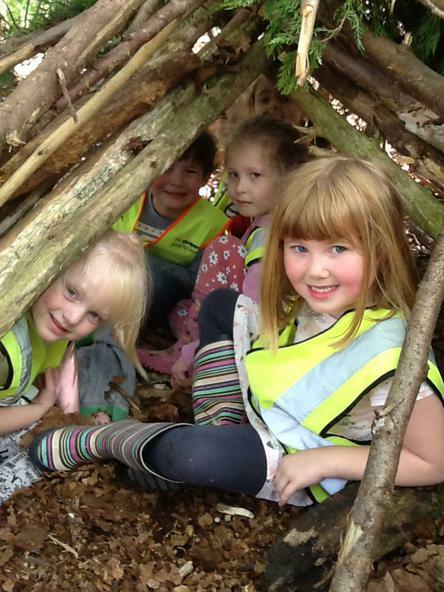 The children worked very well in teams, all the adults were impressed by their care for each other and communication, and the final shelters were fantastic and very robust. 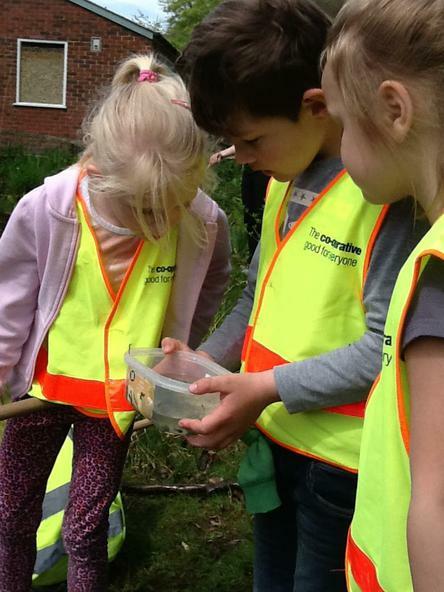 The children were able to evaluate which sticks were the best to use and why, and were constantly thinking how they could improve the shelter to make it utterly bear-proof. If the adults on the trip were impressed with this teamwork, we were amazed at how well the children worked together in a blindfolded walk down the hill. They listened to each other and encouraged people who were a bit more worried about finding their footing. They were able to focus their other senses and think about how much we rely on sight in our day to day lives. 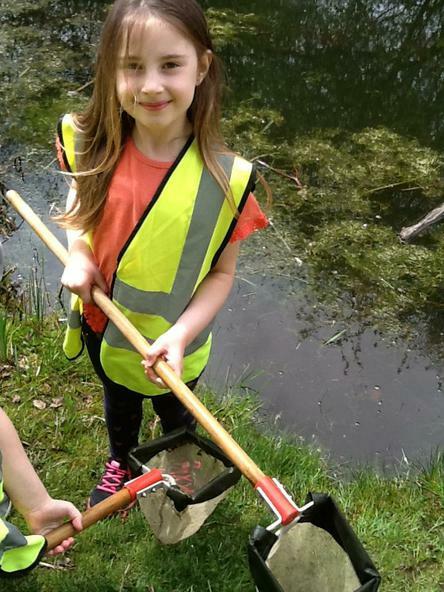 The end of our day involved pond dipping which was also very popular. 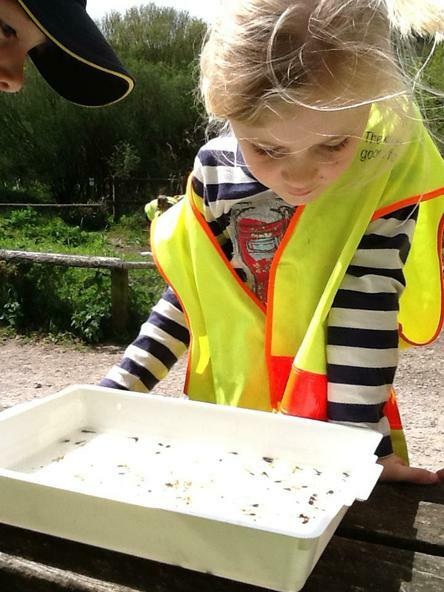 We found examples of fish and amphibians, and were quite mesmerised watching hundreds of frog tadpoles swimming around, and even one toad tadpole (the difference being that a toad tadpole is brown). Breaking- or perhaps cracking!- news! 2.3.16 Our first chick hatched today, during registration. It was amazing to see the egg gradually crack open its own shell. We could not believe how soon the chick was standing up on its very big feet for short spells of time, and already it looks much fluffier and stronger than it did this morning. As the chicks are due to hatch 21 days after being laid, we should meet most of our chicks tomorrow. 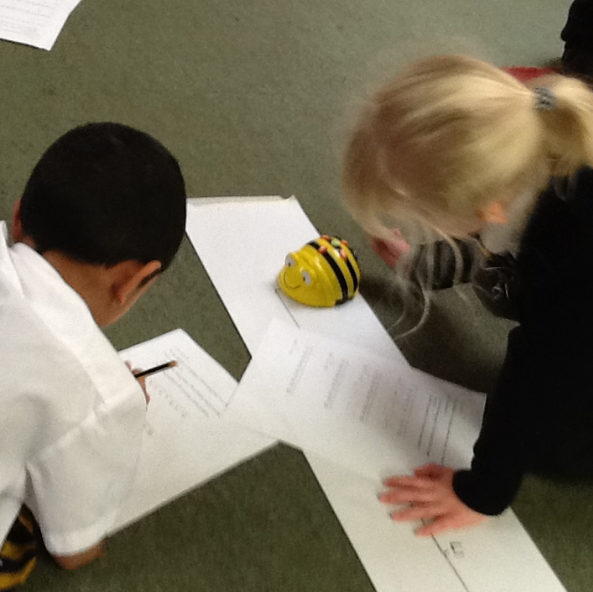 The children are writing in their chick diaries very diligently, and thinking scientifically about things that e notice, such as what the chick's behaviour might mean or what the different sizes of the eggs might indicate. There were lots of different ideas about why a chick might cheap- some children thought it might be calling for its mummy, and others thought that it was trying to wake up its brothers and sisters! Saturday- the chicks' wings seem a bit stronger. The oldest chick, Cosy, has a flap! To celebrate World Book Day, we went to Waterstones to choose a book to get with our £1 vouchers. There were a lovely selection of books ready for us to choose from, and the staff read some very funny, brand new picture books to us as well. Everyone took very good care of the book that they chose and we look forward to hearing how children have got on reading or sharing these books along with their other books as part of the reading challenge. In Year 1 we are all very excited about the arrival of our chick eggs on Monday. This week we have all spent some time looking at the different and wonderful ways we can cook with eggs. 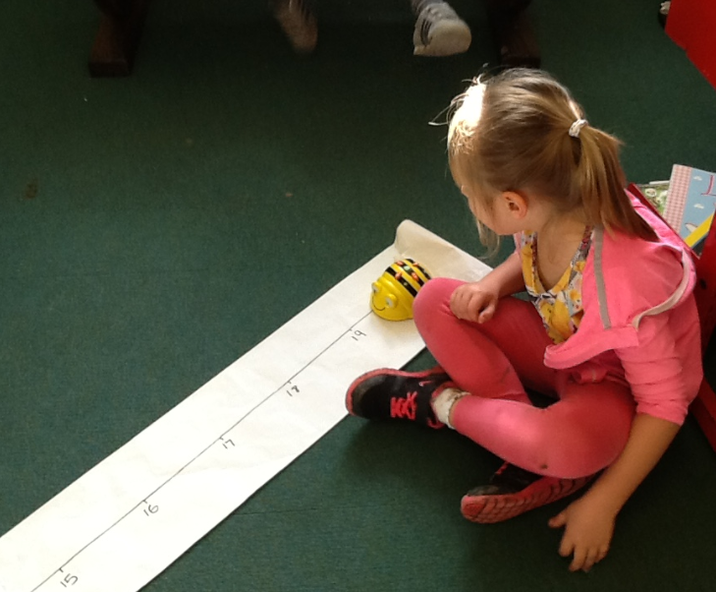 Some of us compared a hard boiled egg to an egg with a runny yolk, and we learnt about using an egg timer to measure 5 minutes or 9 minutes to get these two different results. We also looked at making cakes, weighing out the ingredients independently and very carefully cracking the eggs. Meringues were very exciting to make! Although some of us struggled to say the word at first, we all enjoyed trying them. They were hard on the outside and shiny and soft in the middle- about like marshmallow, we thought. When the mixture was held over Miss Mashford's head we thought it was very funny! But luckily it didn't fall out of the bowl, because it was not runny like water and it seemed to stick to the bowl. The meringue mixture was so firm it didn't fall! We worked together to make model castles. We shared resources, and helped each other. Each of us tried hard to bring our design to life. We were visited by a very special (and very funny!) 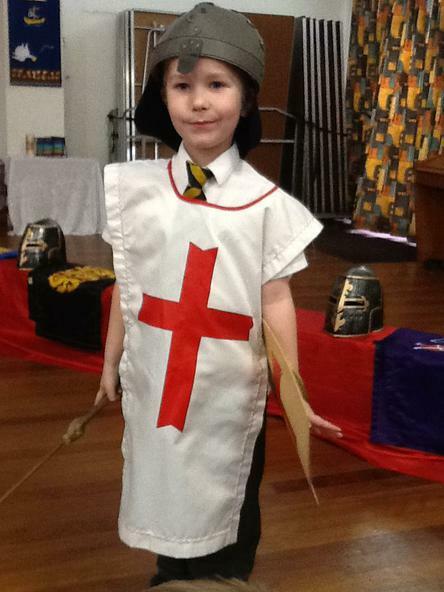 guest this week- Sir Lancelot. 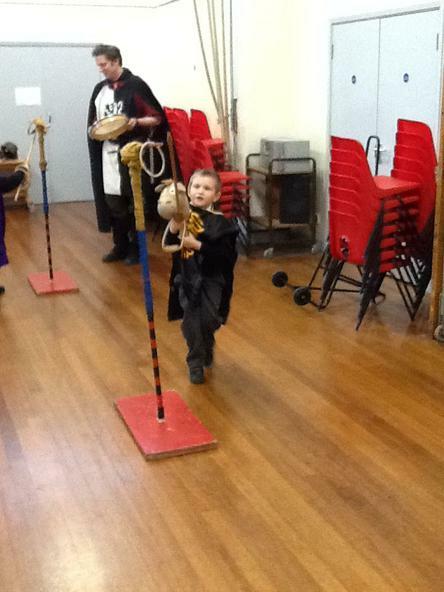 He came to tell us about the knight's code of chivalry, the story of George and the Dragon and he even showed us how to compete like a knight. We wrote a review together afterwards, and many of the children wanted to give the performance one hundred stars! However, we decided to settle for five stars "plus". 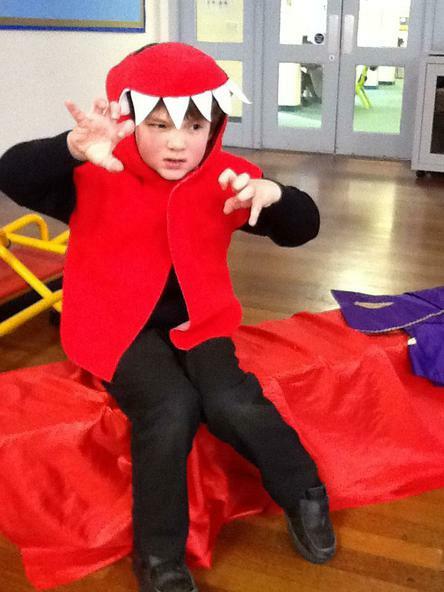 Highlights included the big, red dragon which saw one child giving an amazing performance and staying in character the whole time! 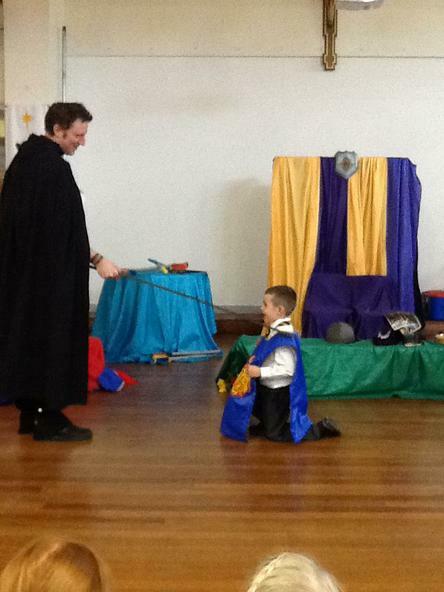 Sir Lancelot was also very good at silly voices and this made us all laugh a lot. 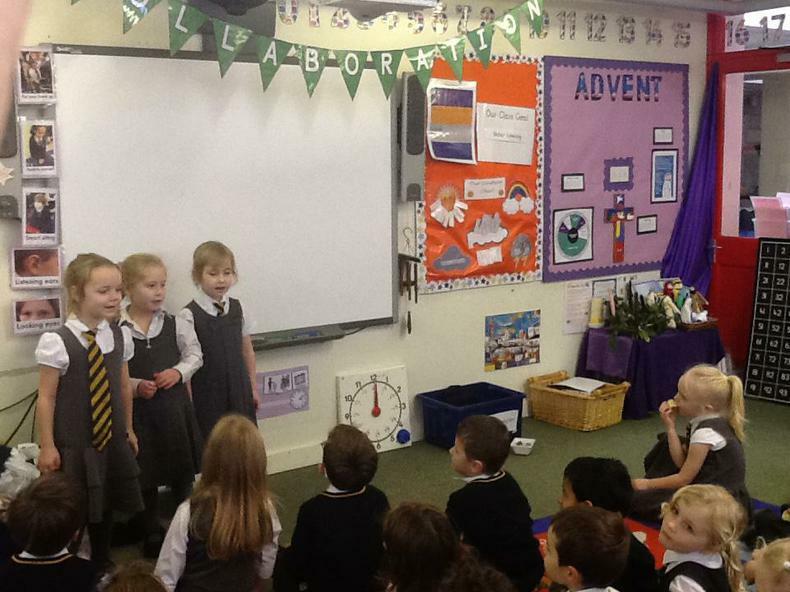 Advent was a very special time of year for us in Year 1. The children really enjoyed making an Advent wreath together, and thinking about all the ways that we prepare for Christmas. 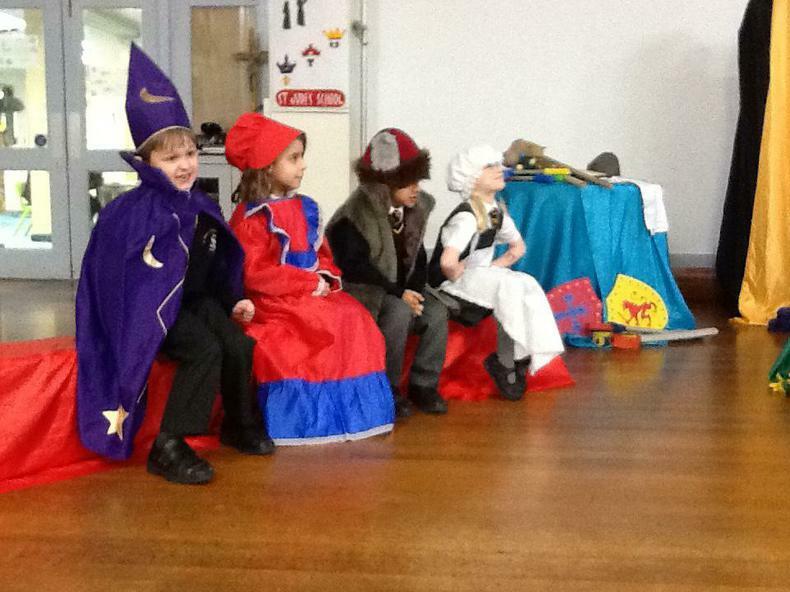 One of the ways we prepared in Year 1 was by performing in the Key Stage 1 Nativity. This was a lovely chance to work together with Year 2 and Year R. The Nativity helped us to think about how it is not diamonds and expensive things which are important, but that love is the most precious gift. 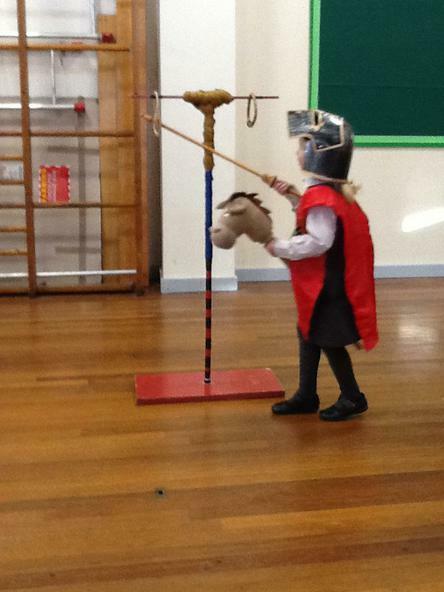 As usual, children shared a range of lovely homework this term. 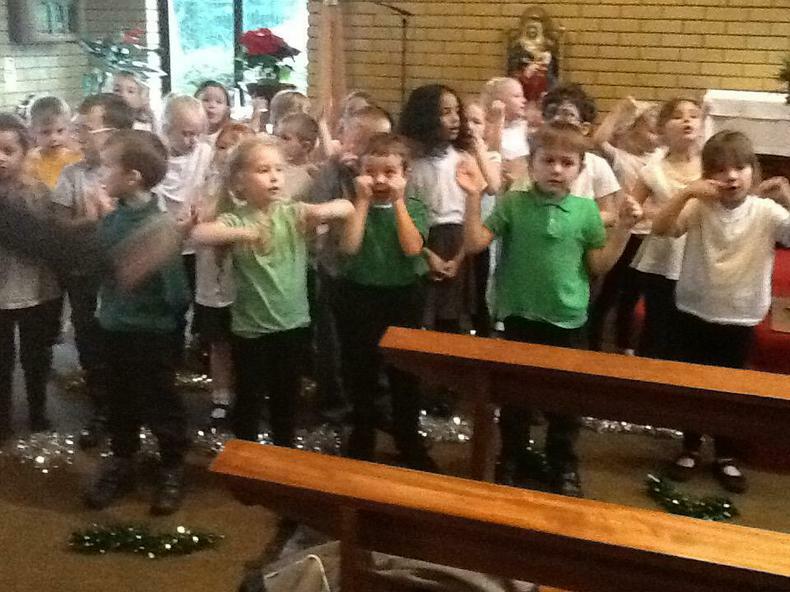 Something that we all particularly enjoyed sharing were the Christmas songs children had prepared and bravely performed to everyone. We even heard a lovely carol sung in Polish and another in Romanian, and all enjoyed learning the meaning of some of these words. The children had a lovely time aboard the HMS Warrior. They were extremely sensible on the steep steps and walking in partners, and we were all very proud of them. We made Christmas crackers and met a sailor and his wife who told us about Christmas in their house during the Victorian times. Then we got to stir the figgy pudding and make a wish, try on some sailors' uniforms and play with Victorian toys and games. Trying on the items in our sensory bag!